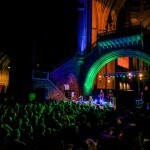 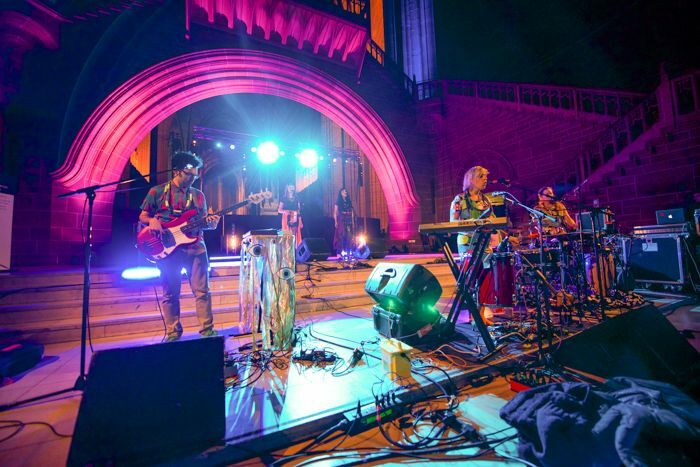 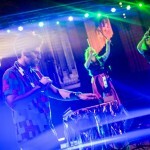 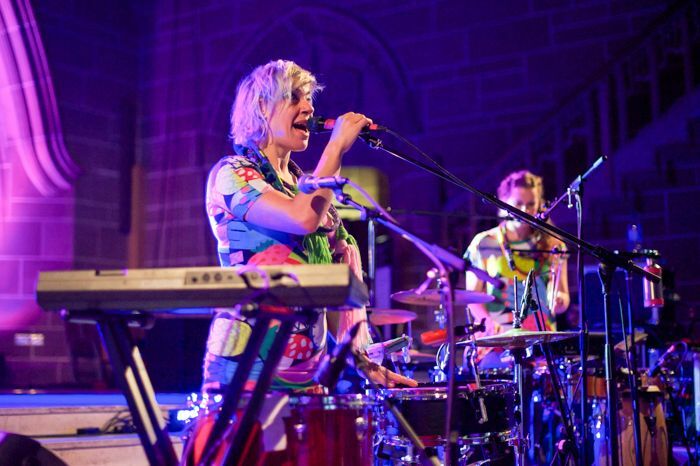 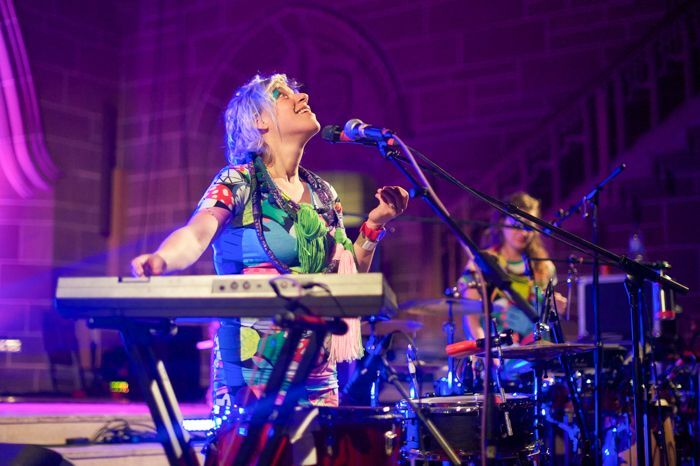 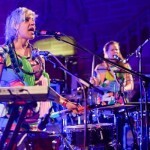 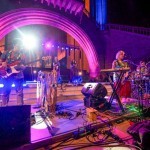 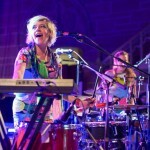 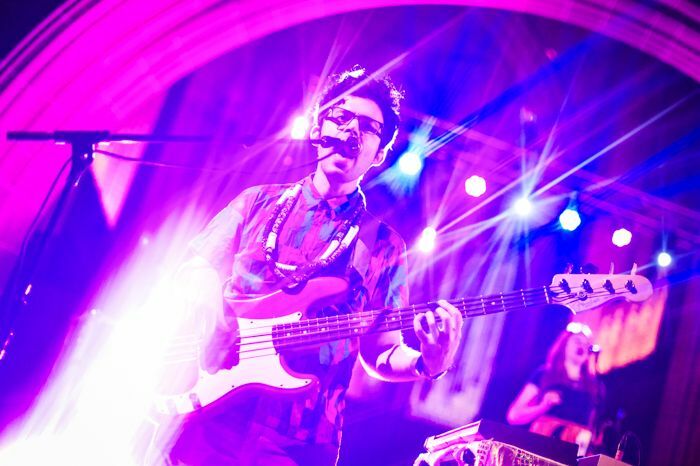 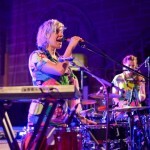 Tune-Yards took to some majestic surroundings for an equally exalted performance at the Anglican Cathedral, Getintothis’ Patrick Clarke was there to take it all in. 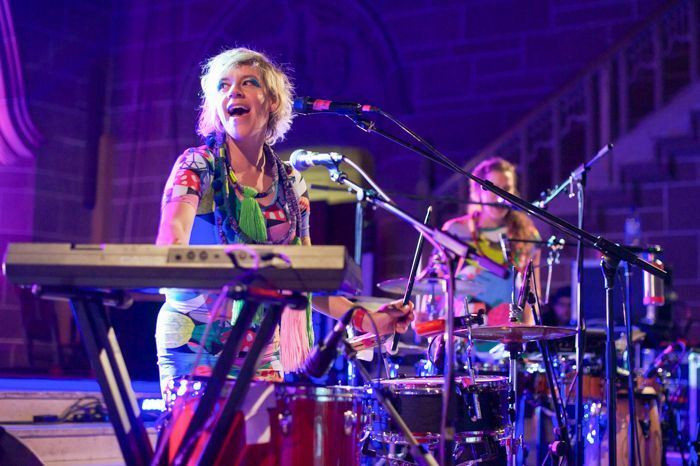 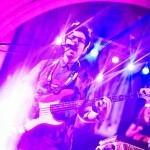 Tune-Yards‘ Merril Garbus knows how to perform. 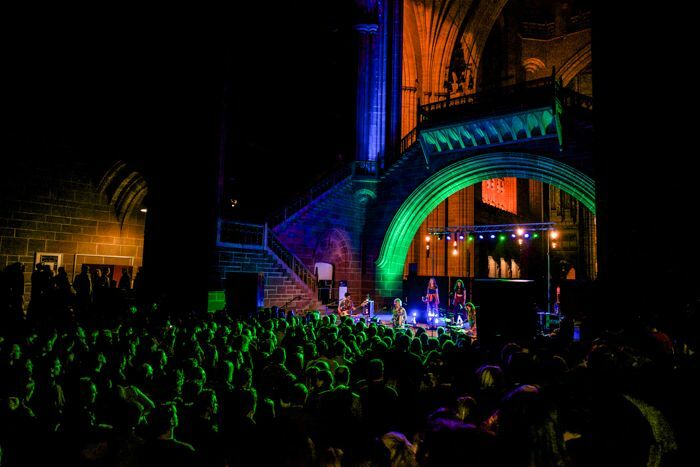 Even were she not stood front-and-centre on the most majestic stage in Liverpool, this would be quite the gig. 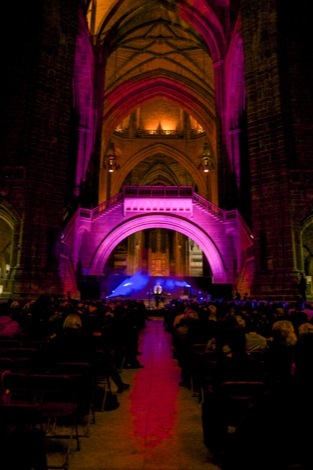 It’s worth remembering that she is, as the singer herself seems to constantly acknowledge with eyes raised upwards to the Anglican Cathedral‘s exalted interior, her utterings of “I’m honoured to be here… awed by the space” backed with what feels a truly heartfelt authenticity. 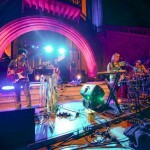 It’s only after a few tracks that the audience begin to agree. 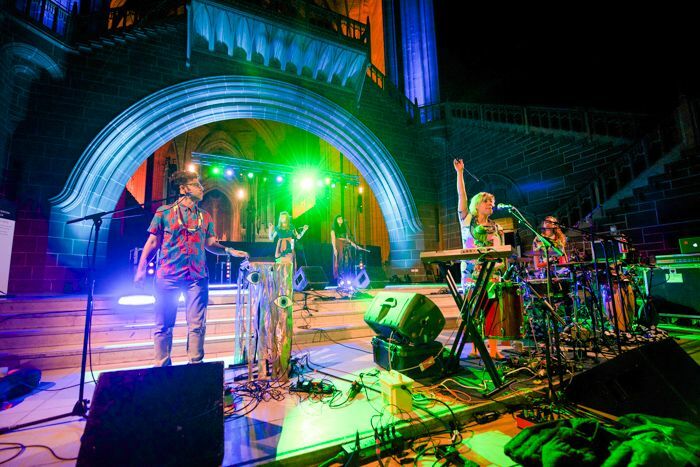 A suitably choral introduction gives way to Time of Dark and Sink-O, and they’re lapped up with enthusiasm, but it’s not until Real Thing that it truly kicks off. 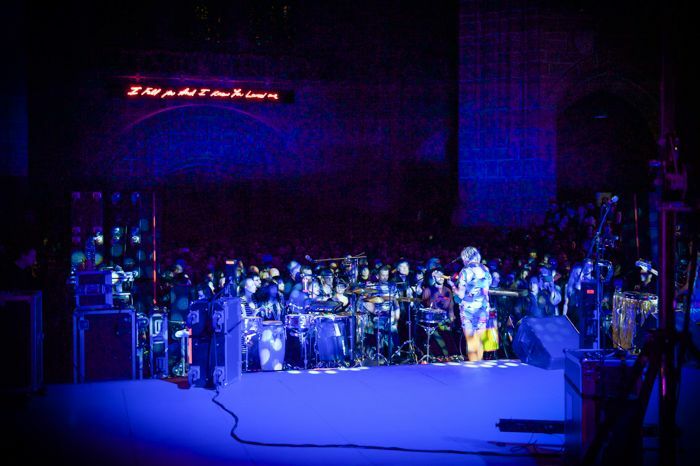 With the venue’s acoustics nothing short of remarkable, wrenching synths and powering percussion hitting straight to the gut, convulsing a fervent crowd of freaks and geeks to an inelegant grooving mess. 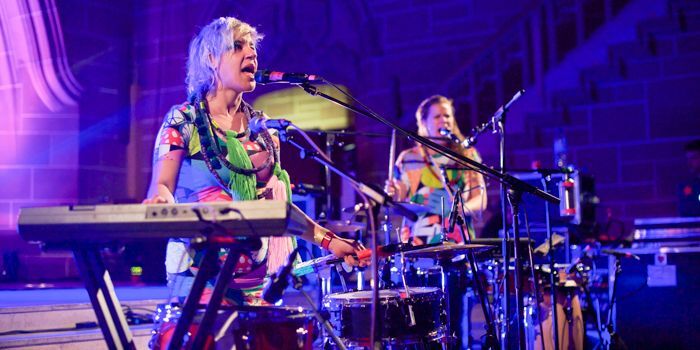 And that’s to say nothing of the vocals, those trademark wails, raps and caterwauling crescendos soaring atop and into the chambers with elevated, primal intensity, backed by the erratic choreography of free-spirited backing singers. 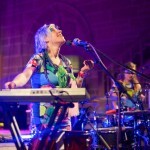 Both performers and crowd remain perfectly off-kilter, lashings of enthusiasm from Garbus and co. returned tenfold by the enraptured, and it’s not long until the room power as one through Gangsta. 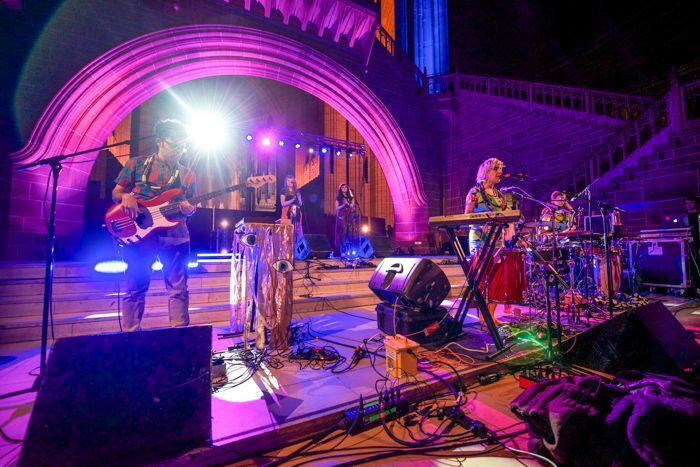 From hereon there’s an ecstasy in the air of the front few rows akin to the weirdest rave of your life, the lurching, quirk of the band’s indefinable sonics inducing rapture as if divinely inspired. 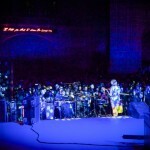 The edges remain more subdued, but in the faces of the few something truly memorable begins to unfurl. 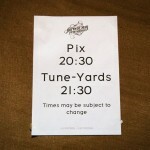 As the band hurtle through Powa, Stop That Man and Fiya they maintain a high pace, though they’ve still a gear-change to come. 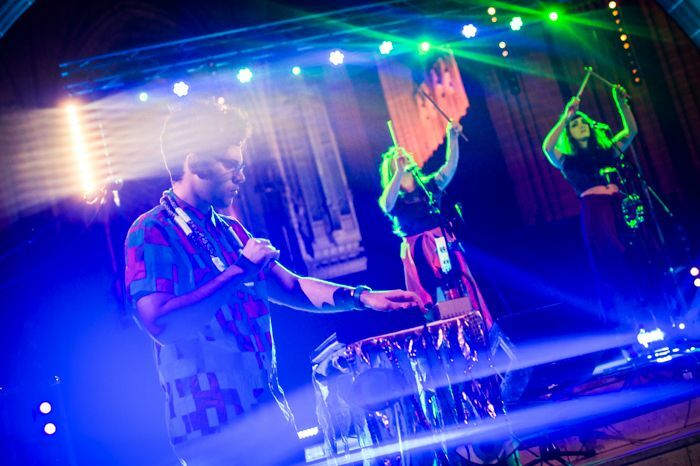 As the thumping, pneumatic beats of the nearest thing they’ve had to a hit, Water Fountain, thrash into view, that euphoria bubbling under at the front explodes, and all and sunder find arms aloft and a sea of voices tailing Garbill‘s own prodigious notes. 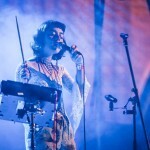 Bizness, by far their best tune closes the main set, and feels a suitable end with its soaring chorus and eminently danceable stabs of primal jazz. 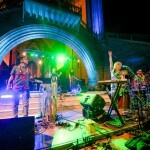 In fact, as they exit the stage to colossal applause it’s a surprise to many when they return for a final Left Behind. 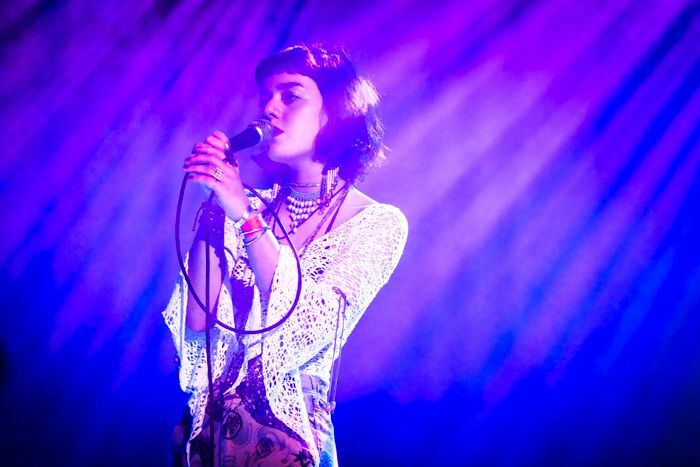 It’s a perfectly enjoyable, well-performed closer, but essentially not much more than an add-on, given the peak that just preceded it. 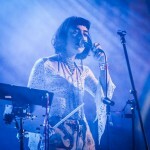 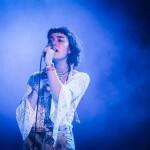 It’s perhaps the only slip-up though, and a minor one amid a well-paced set that’s been a steady crescendo, a dovetail toward moments of extraordinary calibre – an adept, intelligent and unique performance from a band of just such qualities. 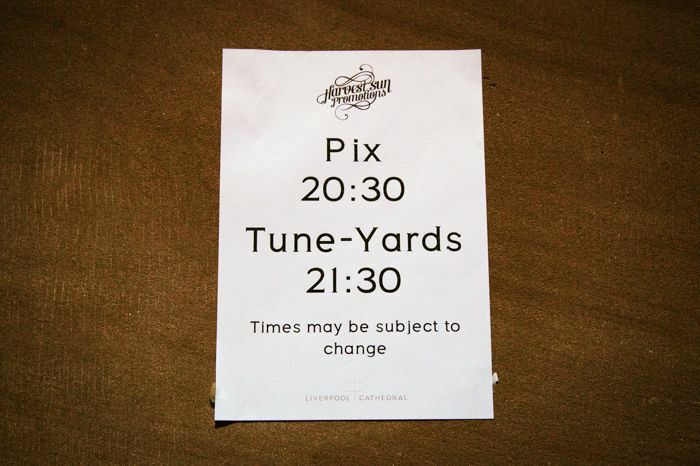 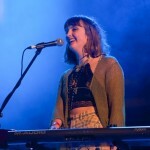 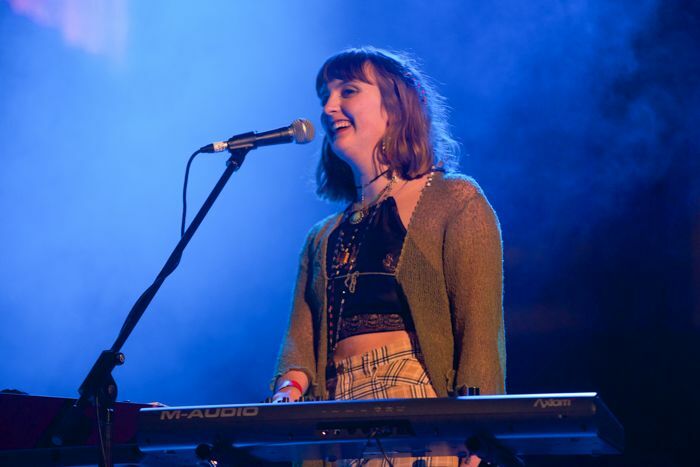 Expectations were also high for support act Pix, formerly featured in our weekly new-music round up Unknown Pleasures. 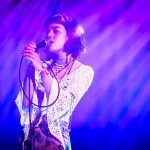 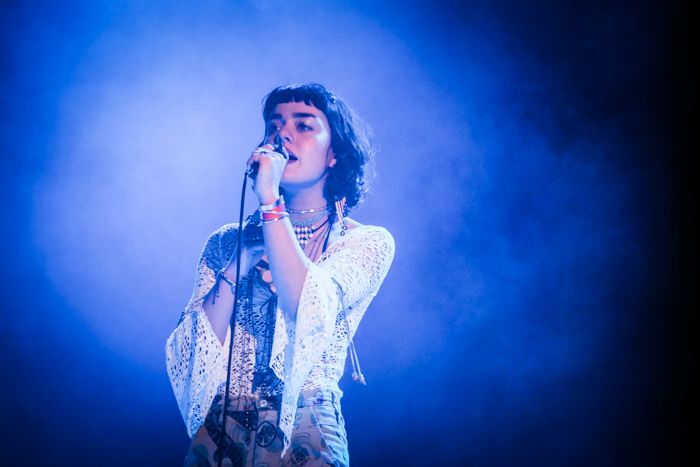 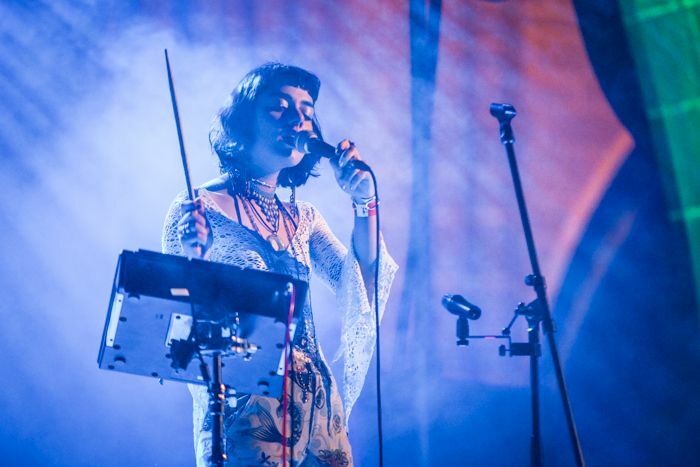 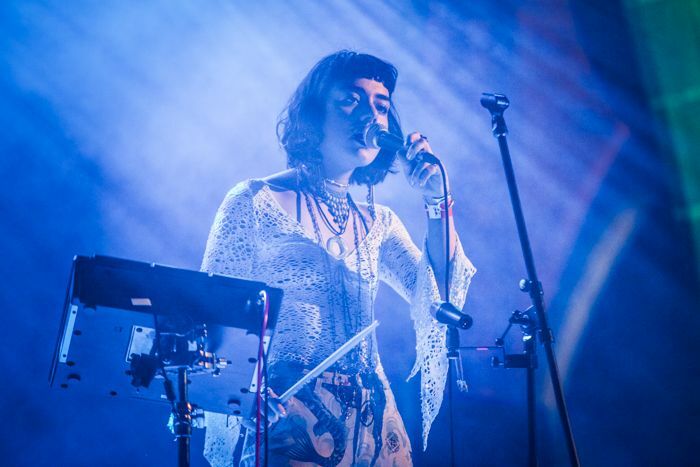 On what’s remarkably the Surrey-based singer’s first ever proper live performance, by all accounts she rises to the challenge, the immense potential we sensed on record still on track to translate.